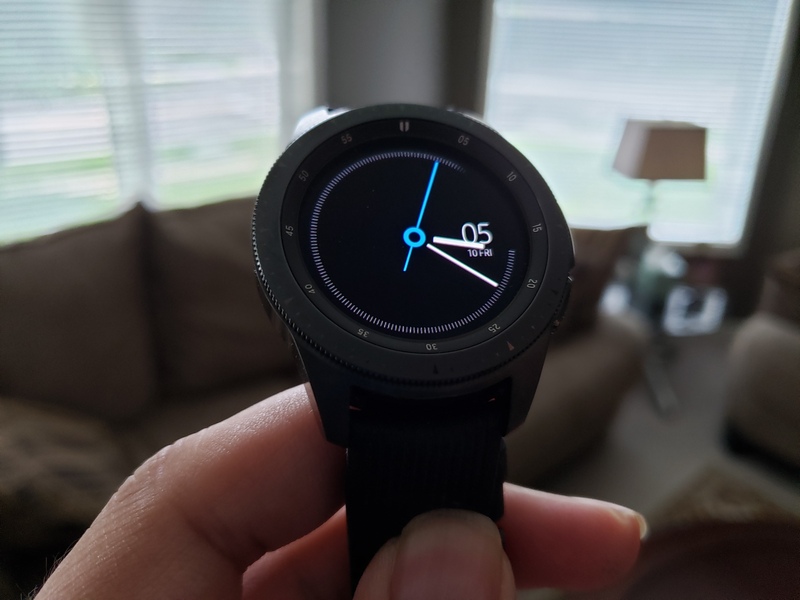 I’ve been testing out the 42mm version of the Galaxy Watch for a few weeks and even though it’s a great smartwatch, it doesn’t add a whole lot new to the table. 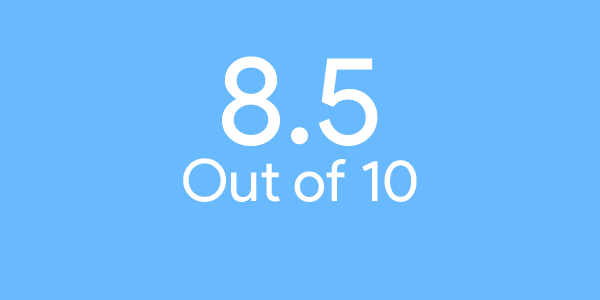 Editor’s Note: Even though I tested the 42mm version of the Galaxy Watch, it’s is virtually identical to the 46mm version apart from screen size and battery capacity. The Galaxy Watch takes design cues from both the previous Gear S3 Frontier and the Gear Sport. The 42mm version of the watch has a 1.2-inch Super AMOLED circular touch display with a rotating bezel while the 46mm has a 1.3-inch screen. I’m glad Samsung is sticking to its roots and continuing the trend of the rotating bezel, it makes it so much easier to navigate because your fingers aren’t covering the screen. On the right side of the device is where you’ll find two buttons. The top one is a back button and the other is to access your apps. 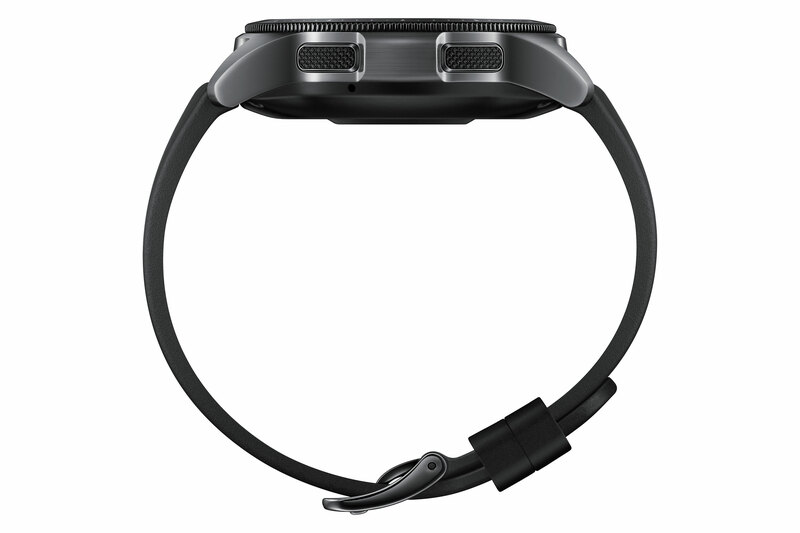 The bottom of the watch is where you’ll find the heart rate monitor. The Galaxy Watch (42mm) comes with a 20mm watch strap that can be interchanged while the Galaxy Watch (46mm) comes with a 22mm strap. The watch is powered by the Exynos 9110 dual-core processor which makes it easy to navigate through Tizen. It’s also IP68 water and dust resistant up to 5ATM (50 meters). 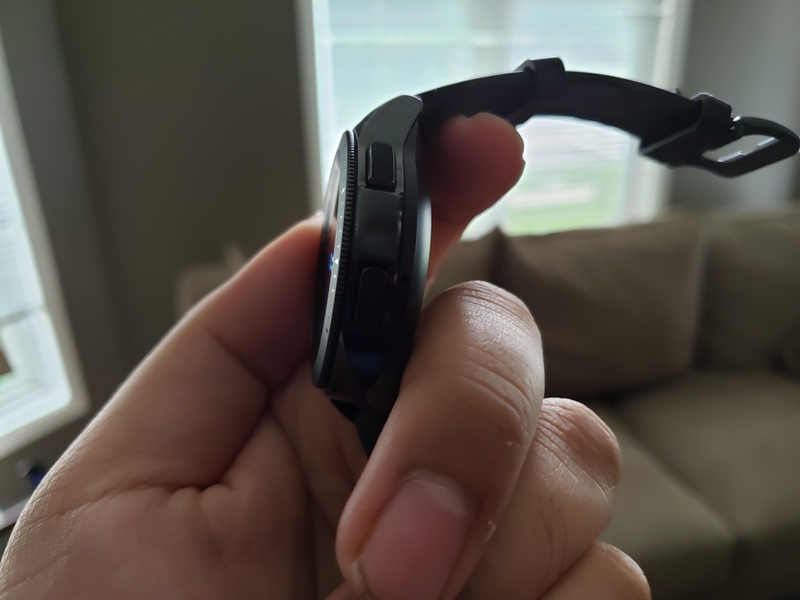 The battery on the Galaxy Watch (42mm) is 270mAh, which is smaller than the Gear Sport from last year which had a 300mAh battery. The Galaxy Watch (46mm) has a much larger 472mAh battery and up to 4 days of battery life. Samsung says you can get up to 2 days of battery life on the 42mm Galaxy Watch which was the case in my testing but that’s without having the screen on all the time. 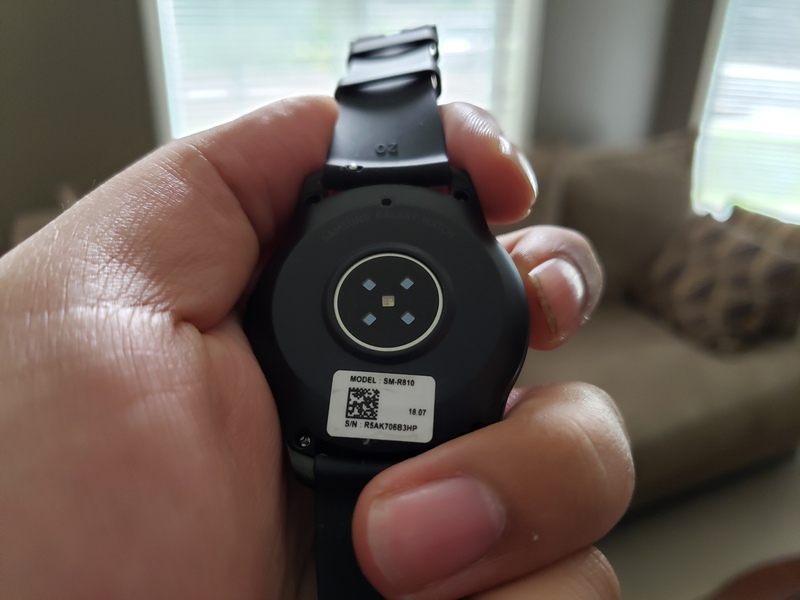 The Galaxy Watch has NFC to be used for Samsung Pay but it doesn’t have MST which Samsung phones do have. MST allows your device to mimic the magnetic strip of a credit or debit card. Some other specs include 802.11 bg/n Wi-Fi, Bluetooth 4.2, 4GB of storage and 768MB of RAM. It would have been nice if Samsung had included more internal storage in the Galaxy Watch, for example, Apple includes 16GB of storage on the Apple Watch. The Galaxy Watch works with Android devices with 4.4 or later and iPhones with iOS 9 and later. The Galaxy Watch is available now in Canada for $419 CAD for the 42mm version and $459 CAD for the 46mm version. The 42mm comes in Midnight Black and Rose Gold while the 46mm comes in Silver. Samsung will be releasing an LTE version of the Galaxy Watch later this year but no release date or pricing has been announced. 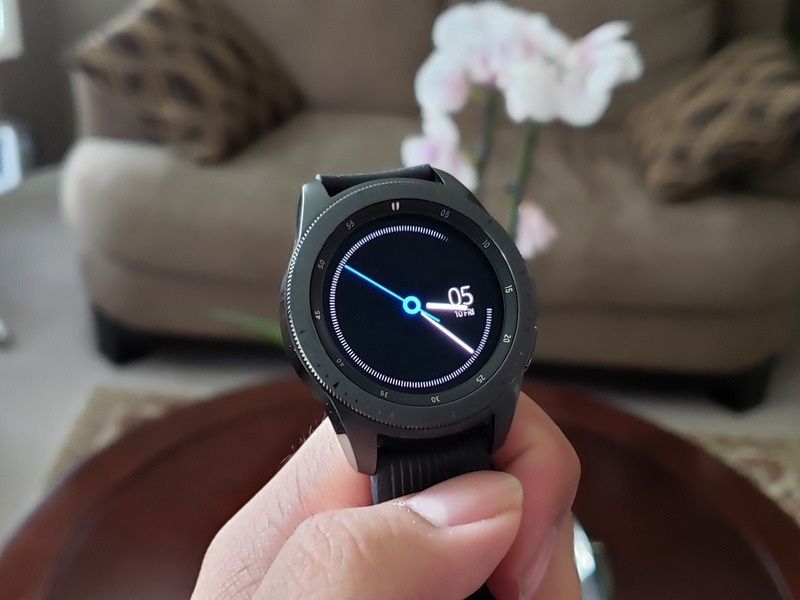 The Galaxy Watch is powered by Samsung’s Tizen Wearable OS 4.0. You can get notifications, send messages and more on the Galaxy Watch. As I’ve said in past reviews, Tizen is a much better wearable OS than Google’s Wear OS (formerly Android Wear). 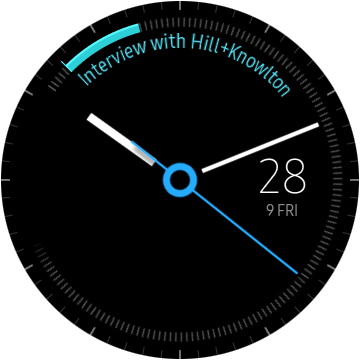 There might be a limited number of apps on Tizen but the watch face selection is slowly growing. Samsung has replaced S Voice with Bixby on the Galaxy Watch. However, just like Bixby on Samsung phones, Bixby on the watch isn’t the greatest. That’s because it’s a pared down version of Bixby. Most of the apps you’re find pre-installed on the Galaxy Watch are Samsung’s own like their version of Calendar, Flipboard Briefing and more. 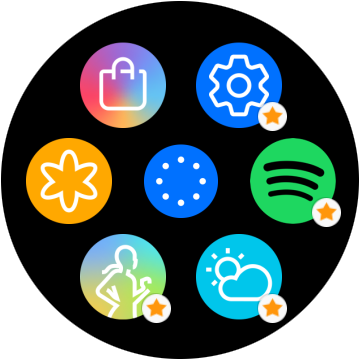 The Galaxy Watch can also be used to download music for offline on Spotify (so long as you have a Spotify Premium subscription). 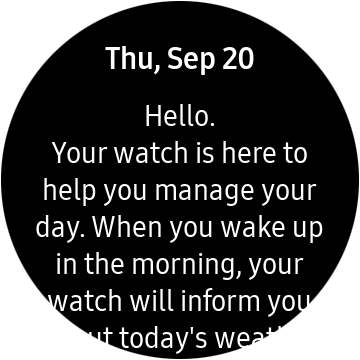 You also now have the ability to download and install apps and watchfaces via Galaxy Apps on the watch itself. 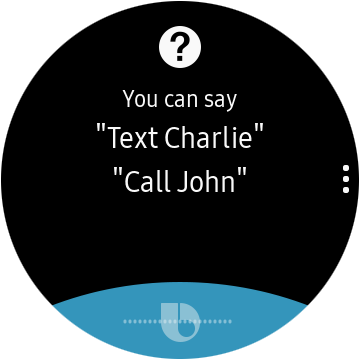 The watch can also be used to control your smart home and activate different routines via Samsung SmartThings. As mentioned earlier, the Galaxy Watch works with Android phones and iPhones (in a limited capacity). Overall, the Galaxy Watch is a great smartwatch, it improves up the Gear Sport and Gear S3 but only in a limited capacity. I wish that Samsung had added a bit more to the Galaxy Watch, rather than making it just an iterative upgrade.